Back when I started covering media in the 80s, the idea of showing, or even just depicting killing people in real-time was an anathema. I remember covering the controversy -- and advertiser fallout -- surrounding NBC’s airing of “Witness to the Execution” 25 years ago, and that was just a fictional film about a live execution. 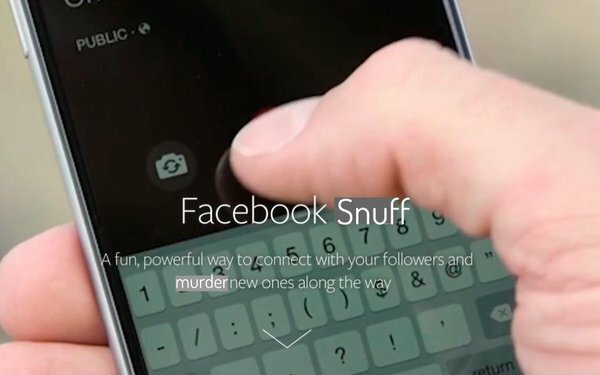 Yes, “snuff films” existed, but with the exception of some commercial home video releases like, “Faces of Death,” they were illegal and certainly not distributed live on a global communications network. What’s my point? It’s that media historically operated within the boundaries of reasonable societal norms, and when they didn’t they were either regulated or prosecuted. Yes, I’m once again calling for regulation of Facebook, and its ilk. But especially Facebook, because its role enabling the live, global distribution of a horrendous terrorist attack, is the latest in a series of careless disregard, ineptitude and casual indifference. Public statements to the contrary, Facebook still likes to break things fast. In this case, it broke a new social taboo. And yes, I understand how difficult it is to prevent and moderate live streaming once you let the genie out of the bottle, but it’s on them to figure it out, and if they cannot, it’s up to society -- ie. regulators -- to help them figure out what they cannot do. Recently, Senator and presidential candidate Elizabeth Warren made headlines for quipping that it might be time to “break up” big digital platforms like Facebook, because like the major financial institutions, they had grown too big. It’s not their size that worries me. It’s the size of their recklessness. With great power comes great responsibility, and Facebook has proven time after time how irresponsible it truly is. If it doesn’t have the protocols and resources to prevent -- or at the very least to immediately stop -- the real-time streaming of a terrorist’s mass killing, it shouldn’t have the power to stream it in the first place. 3 comments about "Live Snuffing". Jack Wakshlag from Media Strategy, Research & Analytics, March 18, 2019 at 10:27 a.m.
Well said, Joe. There was a good reason live events employed “tape delay” all those years ago. Robert Williams from Mediapost, March 18, 2019 at 11:42 a.m.
Paula Lynn from Who Else Unlimited, March 18, 2019 at 12:02 p.m.
Too big = too powerful. I remember working for a competing station in central PA, about 1990, when a network station showed on the local news, a local politician shooting himself on live TV. It was shown a few times. They did not fare well in the beginning. However, in a very "conservative" area, they were forgiven quickly. People love shock and awe and we all have a problem.